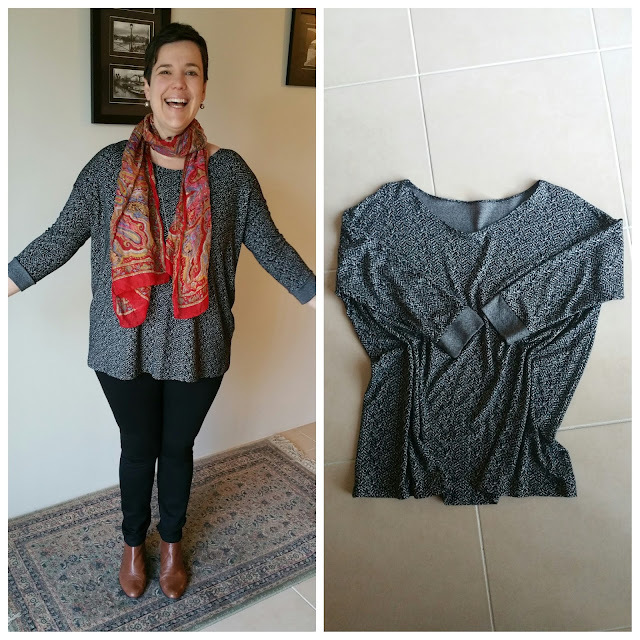 By the end of May I was pretty over selfies, sewing and wearing me-made, but I well and truly smashed my challenge of one me-made garment per week. Lots of repeats in here, but I don't believe in having a huge wardrobe and owning lots of "stuff"...I am the Queen of the wardrobe clean out! 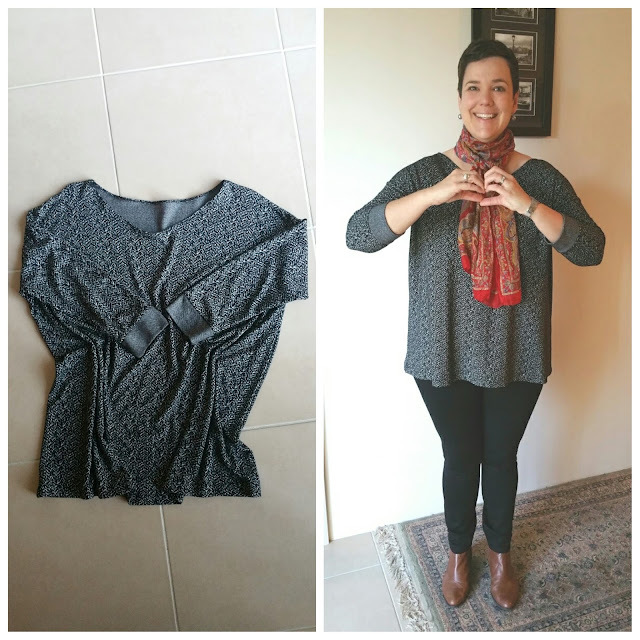 "Our Fave Top" by Tessuti - worn for a day battling the local shopping centre, ARRRGH! 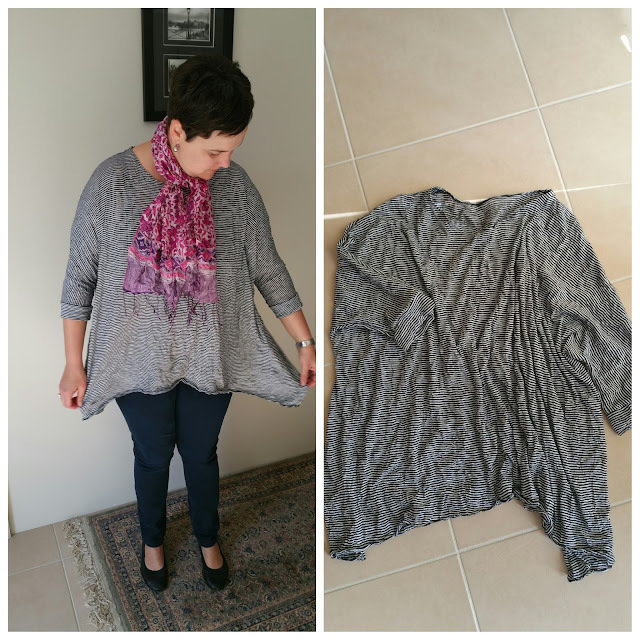 Next time I make this I'll use a knit with 4-way stretch as the sleeves on this could be a bit more lose/comfy. Linden sweatshirt in my beloved fabric from Kyoto - worn out to breakfast at our favourite local cafe. Very cozy, but a bit too warm for the hot Autumn day that we turned out having. Monday = blergh! 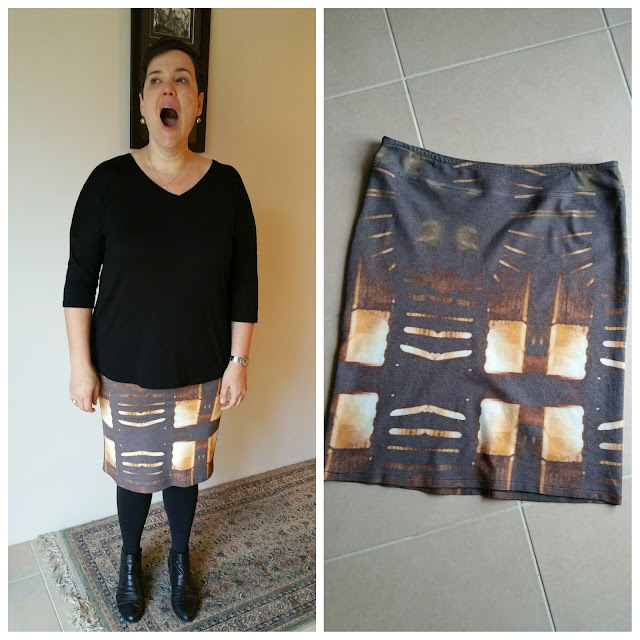 New Mabel Skirt made from a lovely ponti from Tessuti. Quite comfy, but I think all of these skirts will be nicer to wear sans stockings as it's just too much bulk for my liking. Hump day = I'm tired, though I am still loving my very first Mabel Skirt. Always get a compliment or two when I wear this as the fabric is quite striking. This is actually the back of the skirt - I like the pattern placement better this way so I wear it back to front. 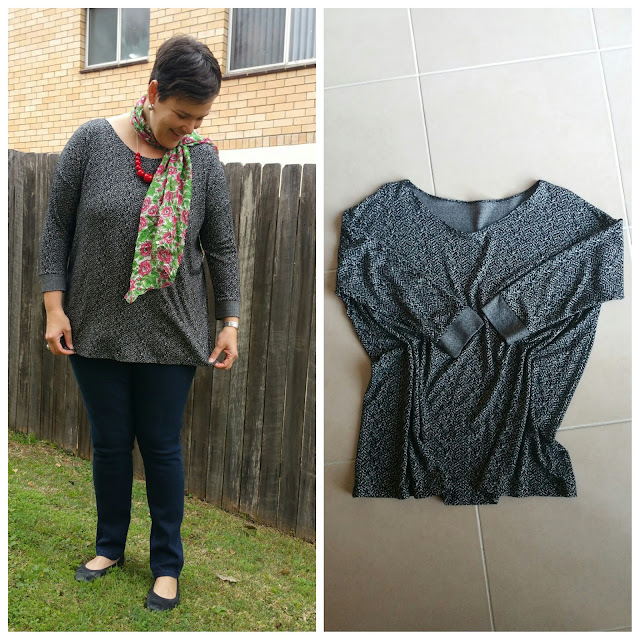 Mandy Boat Tee - worn to work for "casual Friday" though every day in my office is casual. 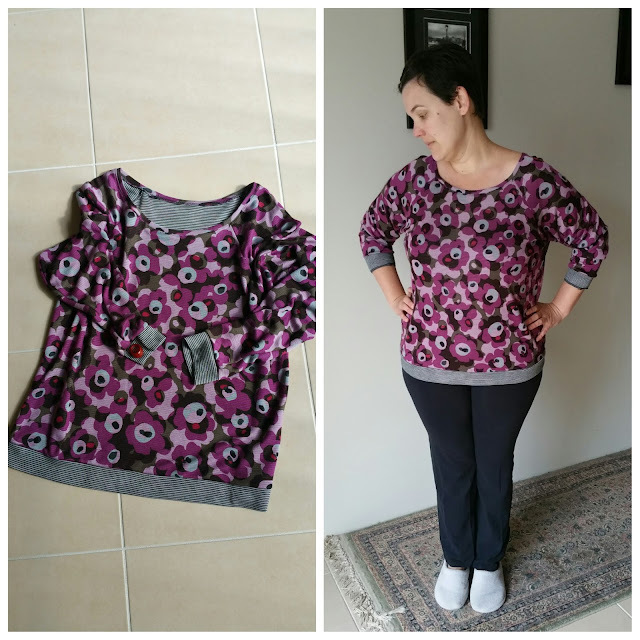 Still wish this top was longer...I've another half made, but the sleeves have gone pear shaped so I'm stalling on finishing it as I don't love it and I'm sad about that as the fabric was $70 AND it was the last of the fabric that Tessuti had. 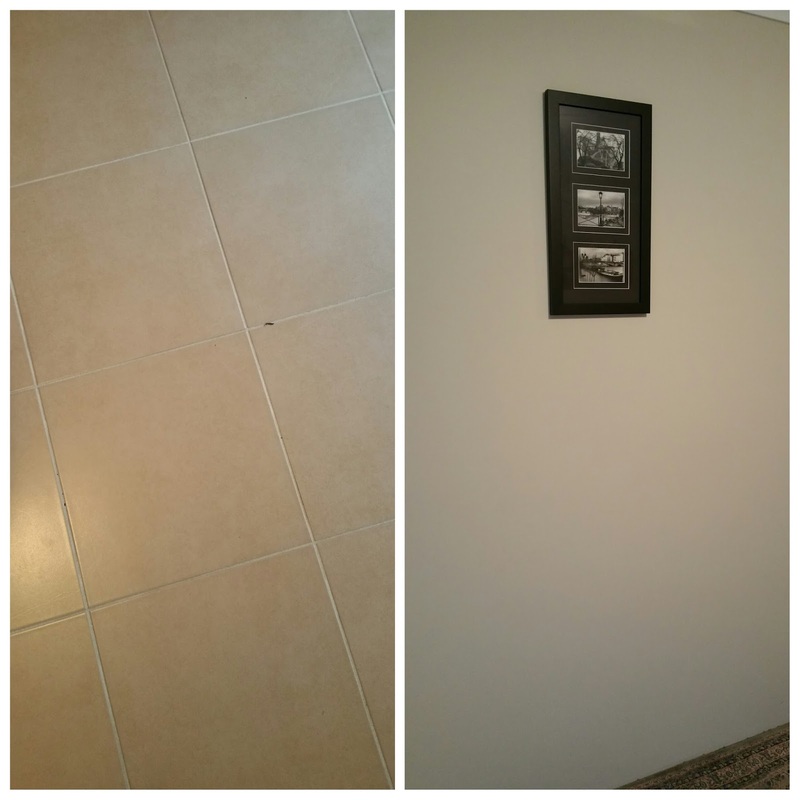 It's all gone...vamoosh. 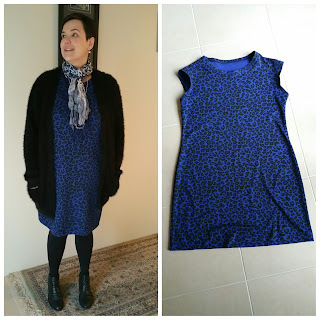 Newly finished ponti Gabby Dress - worn out to dinner at one of Sydney's poshest restaurants, darling! 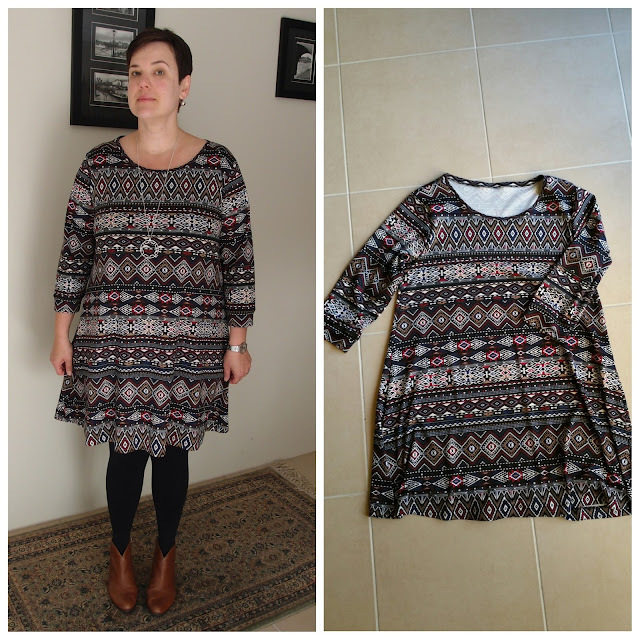 I got lazy on this one and paid to have a dressmaker finish the hem/sleeves for me on their coverstitch machine. 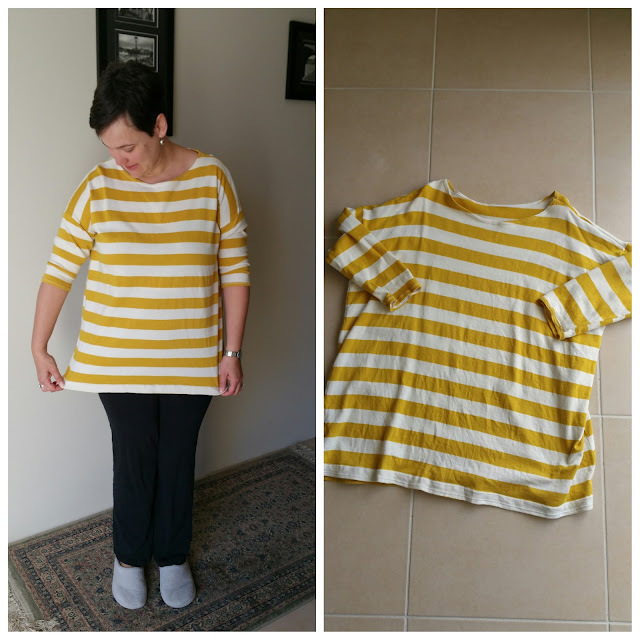 Sunday - slobbing around the house in my badly made, but lovely Mandy Boat Tee. 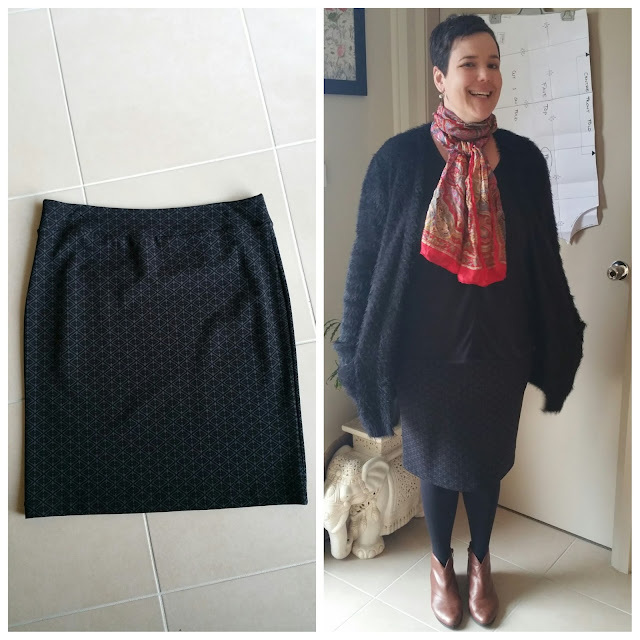 Coco Dress - worn to work with my favourite scarf from Paris. 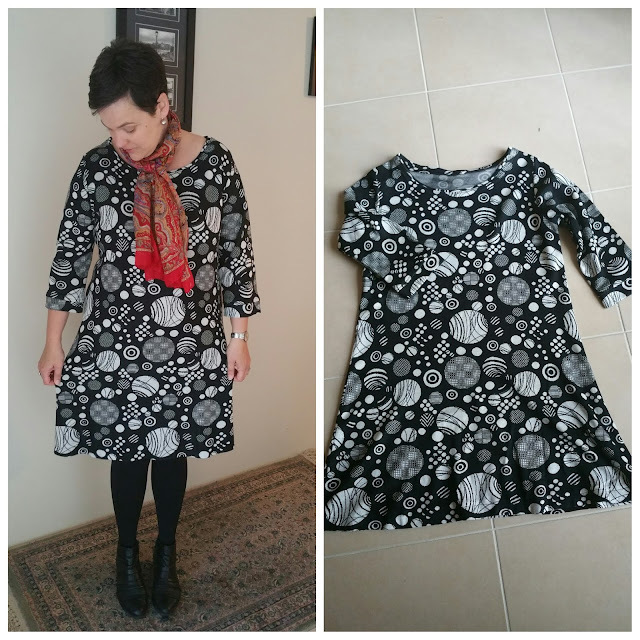 Love the pattern on this fabric, but not really a huge fan of the Coco Dress in hindsight. 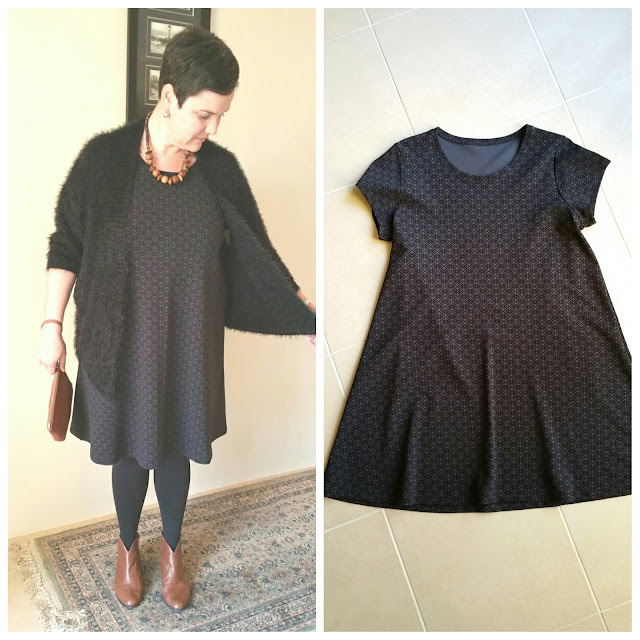 Very glad I'm making the Gabby Dress work for me in knits. 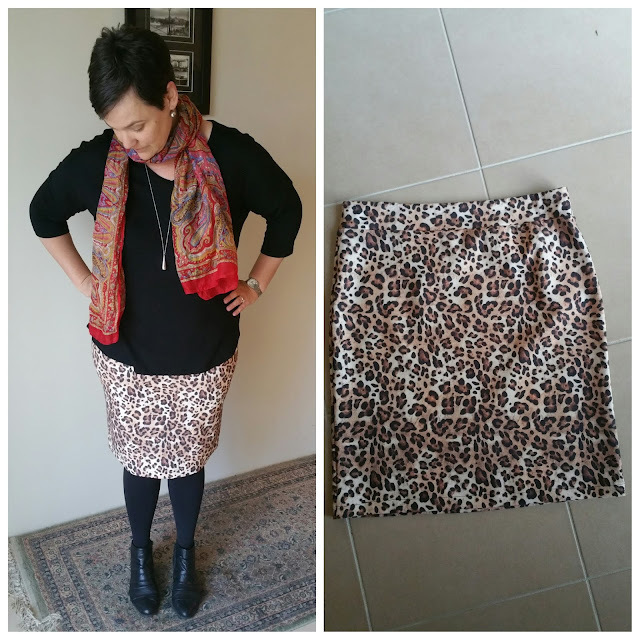 Leopard Print Mabel Skirt - worn to work where I got called "Miss Leopard" by one colleague and told by another I look like the old Lebanese ladies in his suburb who LOVE themselves a bit of animal print. Ah, OK? I made sure both of them knew I made this skirt myself...can the little old Lebanese ladies say the same? and...repeat for the end of the week! I confess I dug this top out of the wash to wear again on Saturday. I've NEVER done that before and when I did wash this I stupidly shoved it into the drier with some other stuff and shrunk it. WAH! June 1st - not a me-made garment to be seen. Thoughts: a lot of people are wrapping up their Me-Made-May posts with some thoughts on what they learned from the experience. I'm not really sure what I learned from participating in Me-Made-May. I guess I've taken away that I can wear my handmade garments out into the real world and that they look OK and they won't fall apart as I'm bending down to restock the photocopier at work with paper. I learned that, when I have items that I like, it's not hard to wear me-made more than once a week. 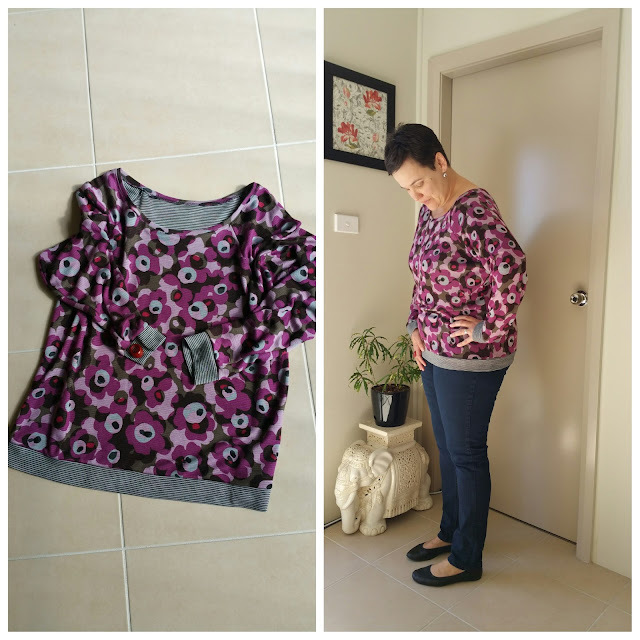 If I sew things I like and I find comfortable adding me-made into my everyday wardrobe is easy. I can also see how sewing my own clothes has had me branch out into different outfits than I was wearing a year or two ago. Before this winter all I wore to work in cooler weather was dresses with tights...now I've added in skirts and pants/tops, so that's been fun. I don't think I'll ever have a 100% me-made wardrobe and I'm fine with that. I'm still not all that confident with my skills and I'd rather buy a bra or pair of jeans or coat and just sew up simple things that are easy to make and I find enjoyable to make. Seems like I've learned quite a lot . Who knew?